Hi everyone ♥ A new video just went up on my channel (which you can watch here) and it's all about what I do if I'm feeling off track / stressed out. I think it's totally normal to sometimes just feel "off", but I think it's about recognizing it for what it is, and that it's only temporary! I love caring for myself because it makes me feel good, which inspires me to share the goodness with others. One of the things I mentioned in my video was the importance of staying hydrated! 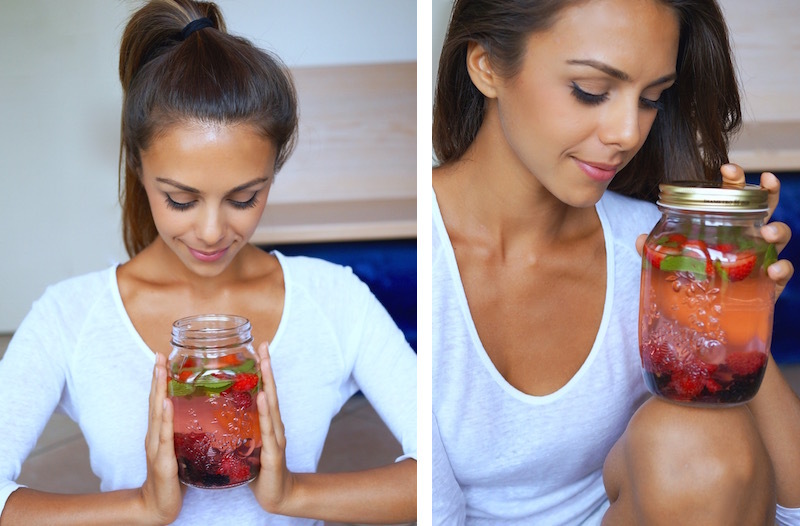 I get quite a lot of messages and comments asking for tips on how to drink more water throughout the day, and this is my answer - fruit infused water. It's SO GOOD and tastes really... luxurious? Haha well similar to the fancy water they serve in spas :) Plus I just can't help but admire how beautiful it is each time I take a sip! Here is one I made earlier today. 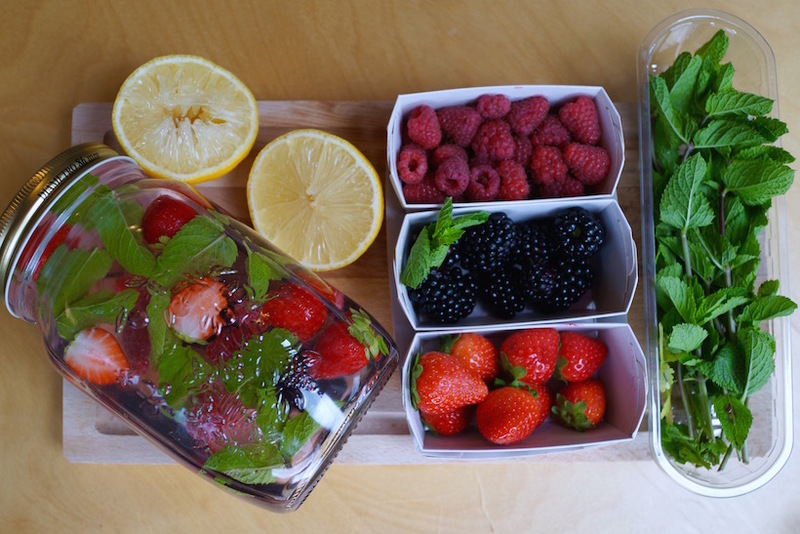 My favorite combination is definitely any kind of berries, mint and the juice of lime or lemon. I either make them on the spot and drink right away, or I sometimes leave it in the fridge for a couple of hours / overnight to let the fruit saturate longer. Either way, it tastes and smells really nice. 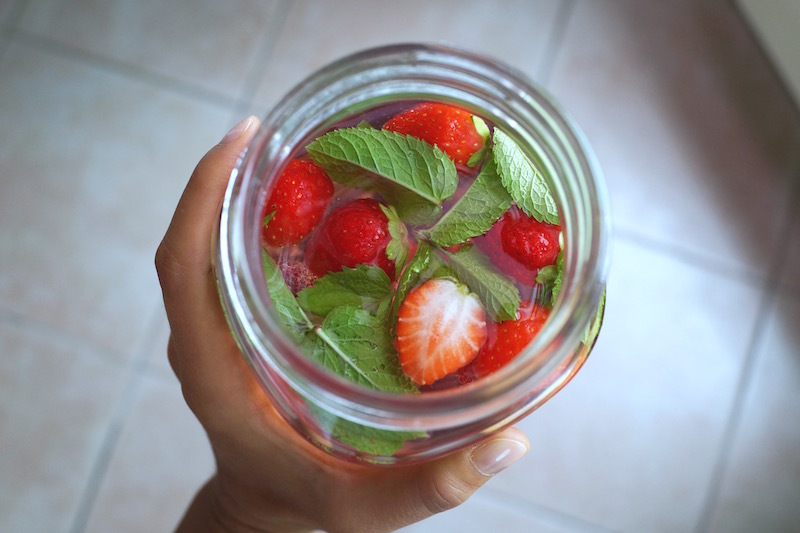 You don't necessarily need a mason jar for this, although they are great, you can use any kind of water container or glass (but I would say if you're keeping it overnight in the fridge to cover the top). I have to make one for me! It looks so delicious!! 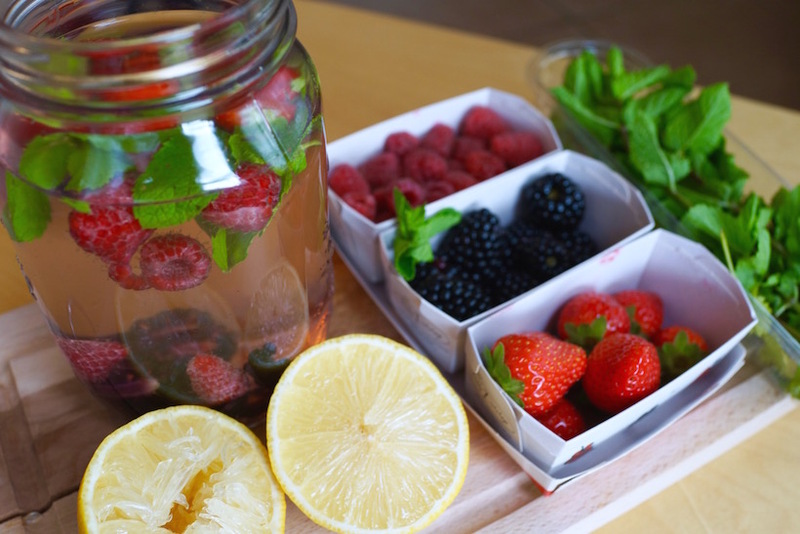 I love, love, love naturally flavoured water! 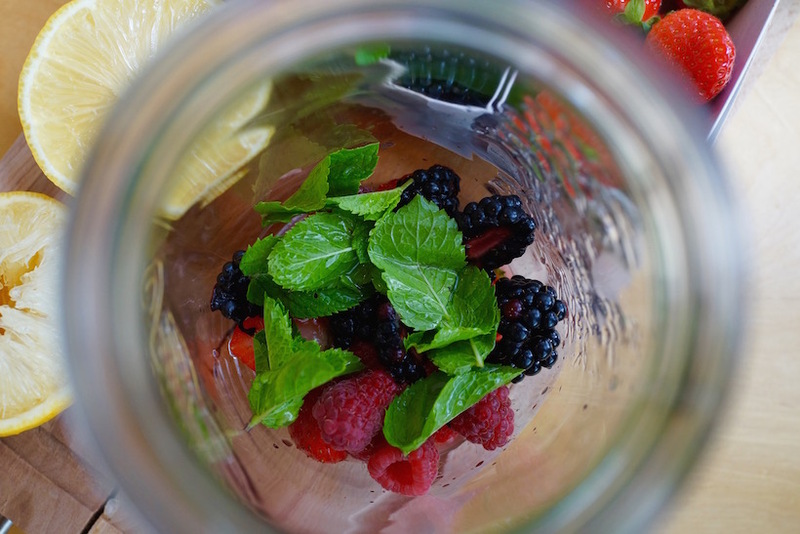 I make sure to drink at least 9 glasses of H20 a day and it can get a little boring so I add fresh mint or lemon but I love the idea of mixing berries in there! Here's my every day custom. 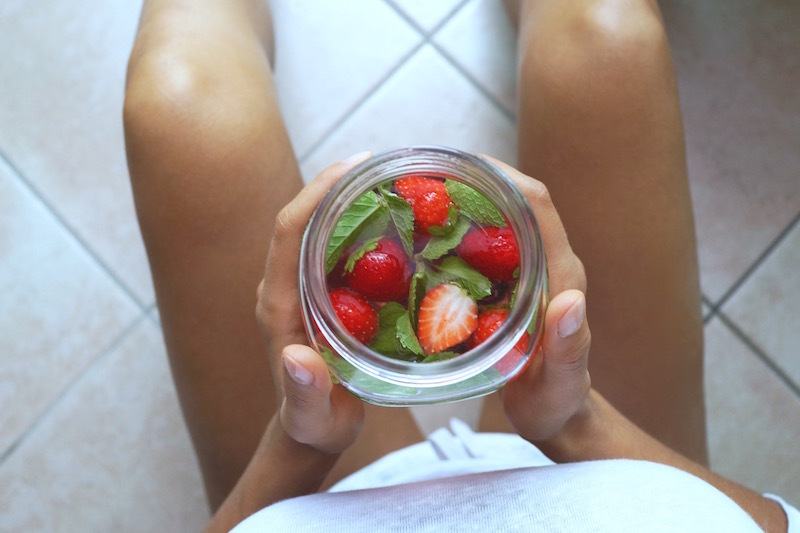 I could blend my beverage with a smoothie, however I like my smoothies more fruity, so I want to blend 2+ tablespoons of green drink into in about a quart of water. I simply drink Green supplements each day 60 minutes after work.